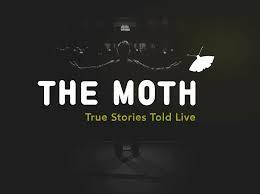 THE MOTH MAINSTAGE, Thursday, December 15th at 7:30pm (doors open at 6:30pm) The Moth is true stories, told live and without notes. The Moth celebrates the ability of stories to honor both the diversity and commonality of human experience, and to satisfy a vital human need for connection. It seeks to present recognized storytellers among established and emerging writers, performers and artists and to encourage storytelling among communities whose stories often go unheard. The Moth Mainstage features five tellers who develop and shape their stories with The Moth directors. 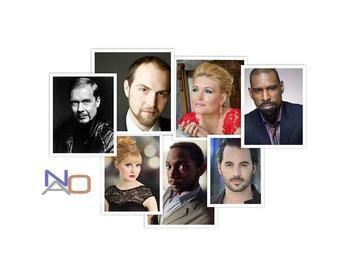 Beyond theater, The Moth Mainstage is a community where entertainment and enlightenment merge. Disclaimer: Some of the tellers share raw and explicit stories that are very much meant for audience aged 16 years and older. Many of the tellers use profanities that may be offensive to children and their parents. Photography by Dare Kumolu-Johnson. Tickets can be purchased directly HERE. Noche Flamenca returns to West Park, and this time with two productions! La Ronde & Creacion opens on December 26th and runs through January 7th (Mon – Fri at 8pm, Saturdays at 5pm & 8pm), and the Drama Desk Nominated Antigonaopens January 10th and runs through January 28th (Tues – Fri at 8pm, Saturdays at 5pm & 8pm). See what the New York Times has said about Noche Flamenca HERE. To purchase tickets to either production, click HERE. 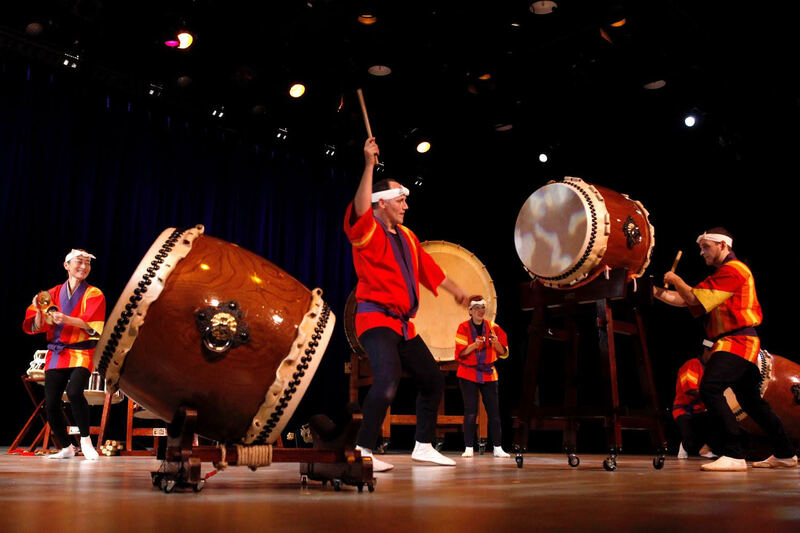 East Winds Ensemble is presenting a program to celebrate the end of year holiday with a special program of Japanese music. 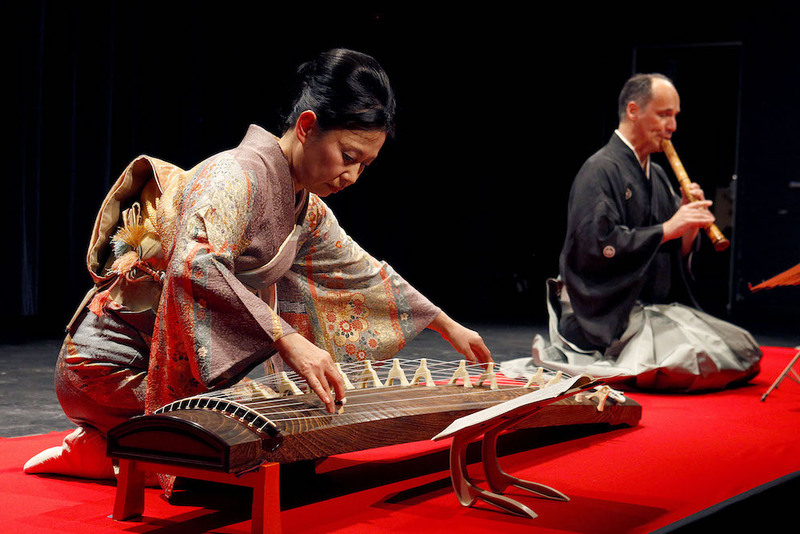 A unique concert performed by two international masters of Japanese music, Marco Lienhard and Masayo Ishigure. An evening of Shakuhachi, Koto and Shamisen that will soothe and tingle your senses. You will not want to miss this evening of timeless and magical music. The concert will also include traditional as well as modern compositions such as Haru No Umi, melodies by composer Fukuda Rando, Sanan, Sue no Chigiri and more. Tickets are $20 regular, and $12 for students, seniors and children. You can purchase tickets HERE or call 866.811.4111. 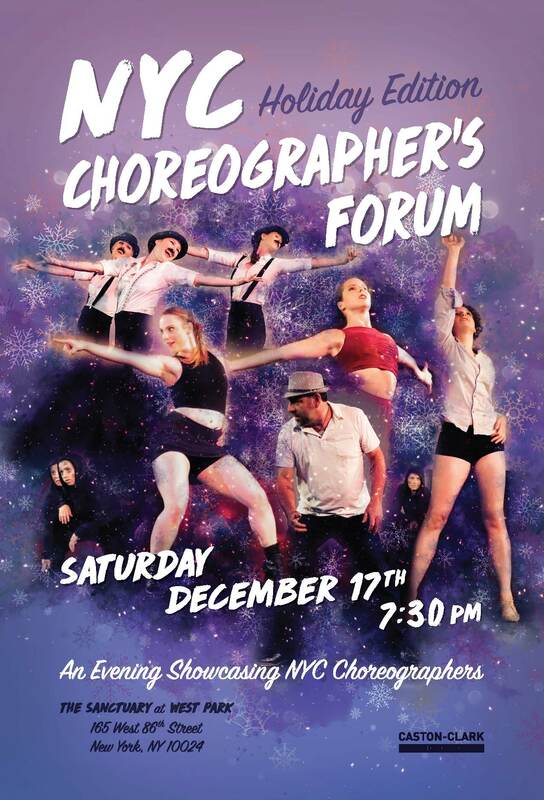 The NYC Choreographer’s Forum – Holiday Edition, produced by former Radio City Rockette Denise Caston, is an exciting evening of dance presented by a diverse lineup of dynamic artists. We feature diverse styles including tap, jazz, theatre dance, and contemporary, plus some holiday favorites! 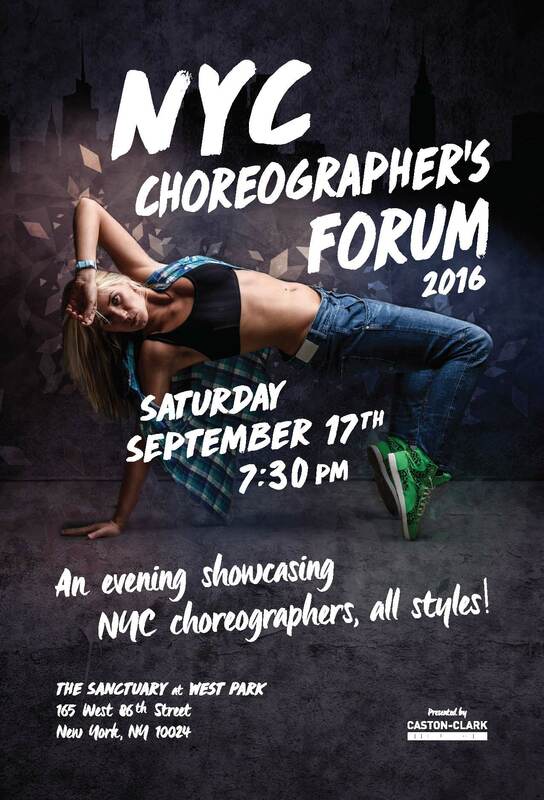 Choreographers include former Radio City Rockette Tara Memi, former Tap Dog Anthony Locascio, Sue Samuels, Germaine Salsberg, Kat Katona, Cooper Flanagan, Angela Morgan, and more! Beer and wine will be sold at this event. Tickets are available HERE. 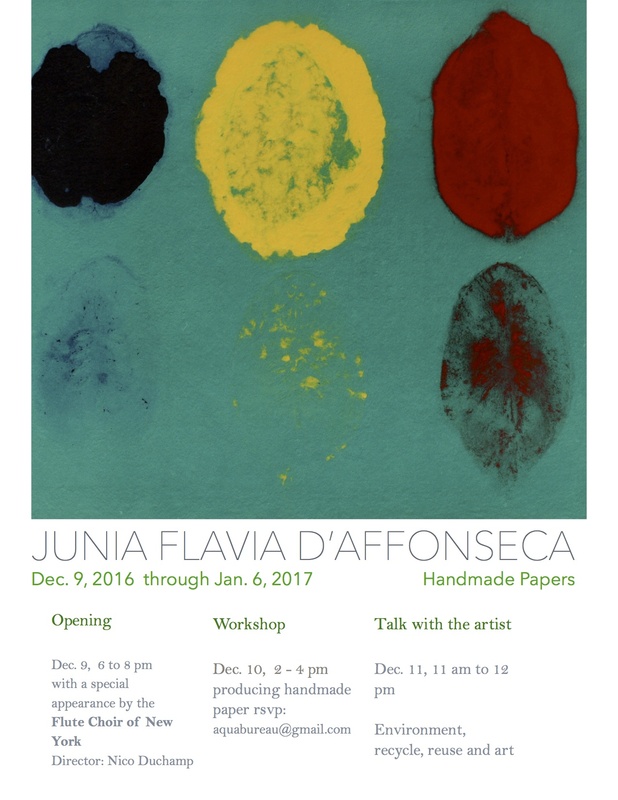 JUNIA FLAVIA D’AFFONSECA’s Handmade Papers Workshop, December 9 – 11 & FREE! Junia Flavia D’Affonseca will host three workshops on handmade papers. December 9th (6-8pm) will be the opening, and feature a special performance by the Flute Choir of New York, directed by Nico Duchamp. December 10th (2-4pm) will the producing handmade papers, to RSVP email aquabureau@gmail.com. December 11th (11am-12pm) will be a talk with the artist about the environment, recycling, reusing and art. West Park INTERNATIONAL MUSIC FESTIVAL 2016, Thursday, November 10th at 6pm New York Music Tower Studios will be sponsoring the West Park International Music Festival as an opportunity for local and foreign musicians to perform live music on the Upper West Side of New York City. The Music Festival’s goal is to promote local and foreign talent in a wonderful historical venue with professional production elements. 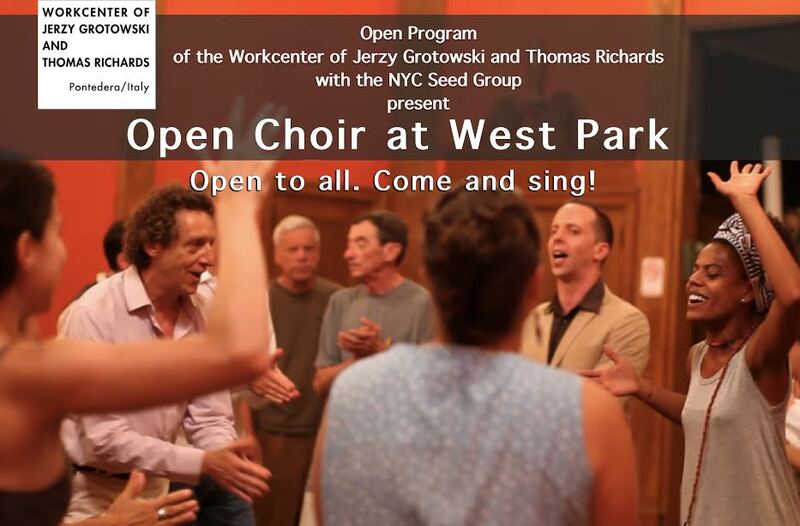 The acoustics and ample space of West Park provide a unique experience for musicians not often found in NYC. The Music Festival will include Pop, Soul, Funk, Blues, Country and many more contemporary music genres. We believe the festival will give participant vocalists and bands a next-level collaborative event along with an enjoyable experience for all festival attenders. All age groups welcome. 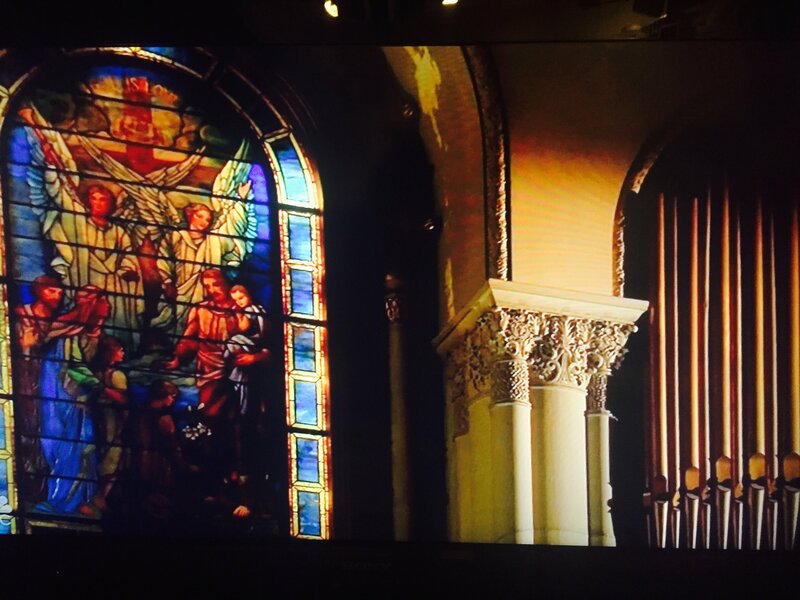 SUGGESTED: Donation $5.00 (A percentage of the proceeds will be donated to the church). For tickets click HERE. New York Music Tower studio is New York City membership-based organization whose goal is to promote local and International musicians. Aries in Flight will present the secondArtists in Flight Performance Showcase which will feature the work of 18 emerging choreographers in New York City in a variety of dance genres. Aries in Flight’s mission is “to enable dancers and performers to learn, create, and explore their craft in a safe, judgment free environment.” Following this philosophy, the showcase will celebrate a diverse range of dance styles and techniques. 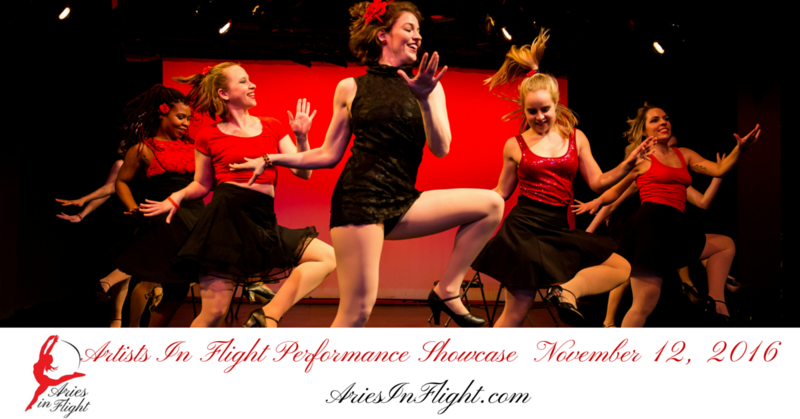 Many of the choreographers are returning to the Aries in Flight stage after the first Performance Showcase that took place in February 2016. Tickets are $15 pre-paid or $20 at the door (cash only). To purchase tickets in advance, clickHERE. For more information about Aries in Flight click HERE. 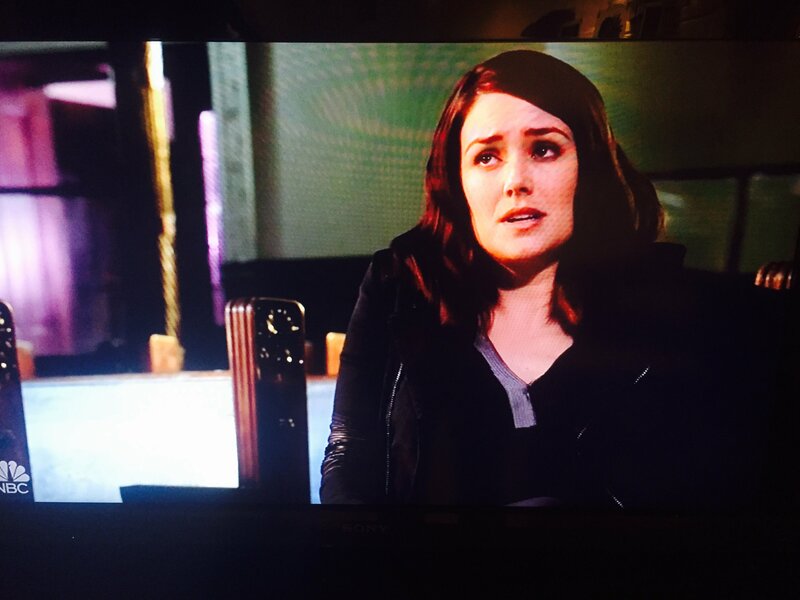 NBC’s “THE BLACKLIST” featured scenes at West Park! 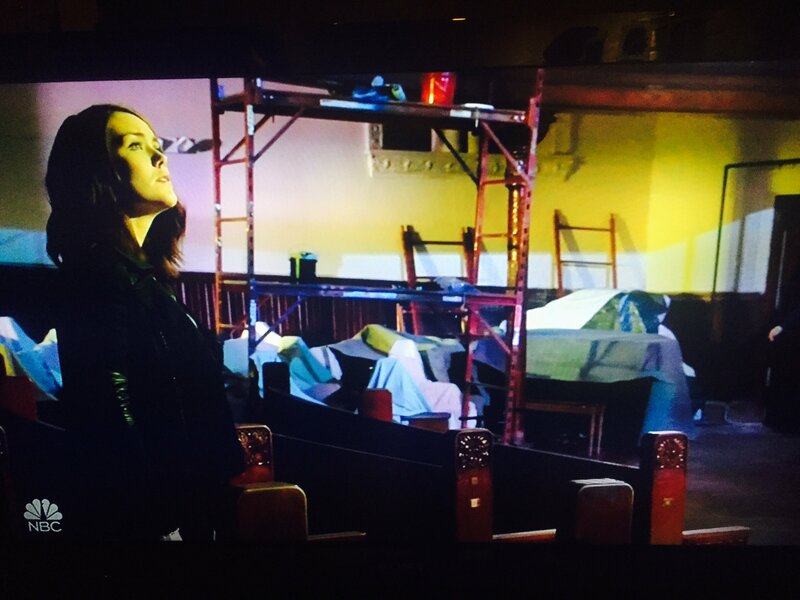 Last week’s episode of NBC’s “The Blacklist” featured scenes at West Park Presbyterian Church! See some selected photos below! traditional games and rich culture, educating people to their way of life in order to help preserve their language and spiritual heritage from extinction. generations. 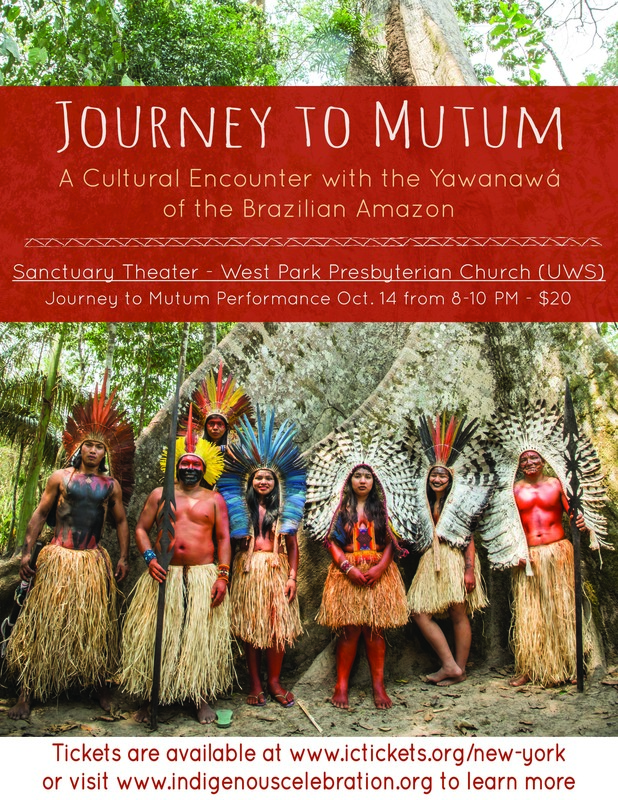 Visit www.ICTickets.org for tickets ($20) and to learn more about the Yawanawá. Open House New York on Saturday, 10/15 from 10am-6pm and Sunday, 10/16 from 2-6pm Open House New York (OHNY) is an annual event where important buildings around the city that aren’t commonly accessible are opened to the public for tours and other events over a weekend in October. Click HERE to learn more! Composers Concordance’s ALL ABOUT SPAIN on Saturday 10/22 @ 8pm The All About Spainconcert features new flamenco-inspired music and dance. CompCord String Orchestra will perform with guests, including dancer Sonia Olla and singer Ismael Fernández, who are known for bridging the culture of flamenco between Spain and New York City, in the premiere of ‘El Paseo,’ composed for orchestra by the third-generation master flamenco guitarist Pedro Cortes. Violinist Miranda Cuckson, an “electric interpreter of new music,” will premiere ‘Al-Andaluz’ by Dave Soldier. Scott Jackson Wiley will conduct music written for the occasion by composers Dan Cooper, Pedro Cortes, Eleanor Cory, Masatora Goya, Peter Jarvis, Debra Kaye, Daniel Palkowski, Ge ne Pritsker, and David Saperstein. Tickets are $10 in advance, purchase by clicking HERE or $15 at the door. A presentation of therapeutic workshops, scientific and psychological talks, music, meditation, visual arts, and personal testimonials concerning traumatic experiences and processes of healing. 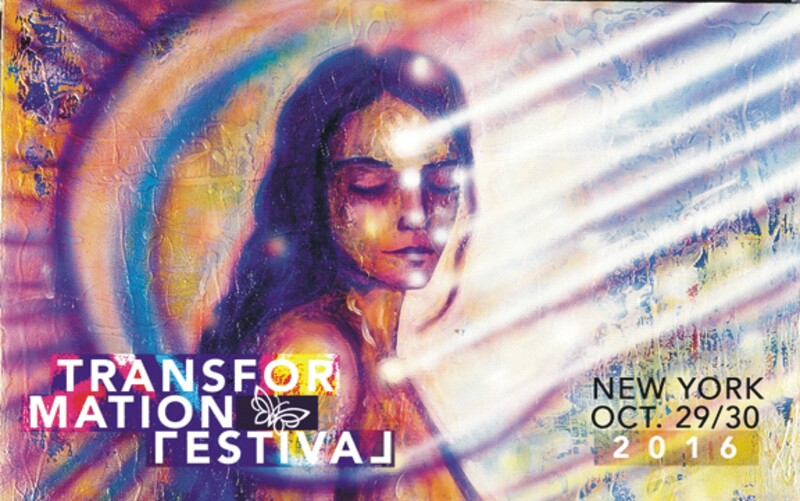 The Festival’s motto is “Leaving Victimhood Behind.” The evening includes a performance of GIRL OF DIAMOND MOUNTAIN featuring Lotte Arnsbjerg, vocalist; Mr. Moore, keyboards; Kiori Kawai, dance; and Caterina Bertolotto, projected art. Tickets are $15 (students with ID $10) at the door. 9/11 PRESENTATION & DISCUSSION on Friday, Sept 9th at 7pm! Author and investigative journalist Christopher Bollyn will give a talk on who planned 9/11. The event will be on Friday, September 9, 7:00-9:00pm. Admission is $10. 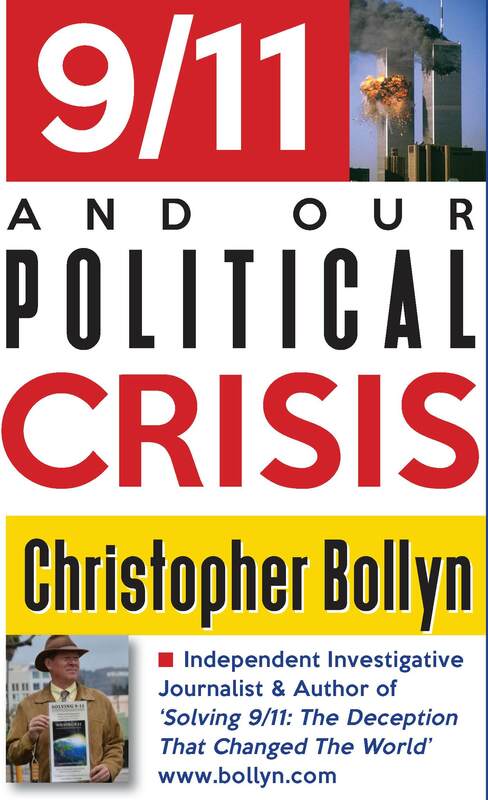 Bollyn’s extensive worldwide investigations enable him to present a riveting analysis of who masterminded the false flag terrorist act known as 9/11. His message is a rare voice exposing the Neocons and their Zionist partners-in-crime who had the means, motive, and opportunity to pull off this game-changing event. Bollyn provides hard evidence that these same people (and their proxies) to this day continue to foment terrorism and war, domestically and abroad. Children & adults of all ages are welcome! Fall semester starts Wednesday, September 14th through December 22nd. Four sessions a night: 5-8 year olds, 9-13 year olds, 7-12 year olds & 13-18 year olds; 4pm – 7pm. 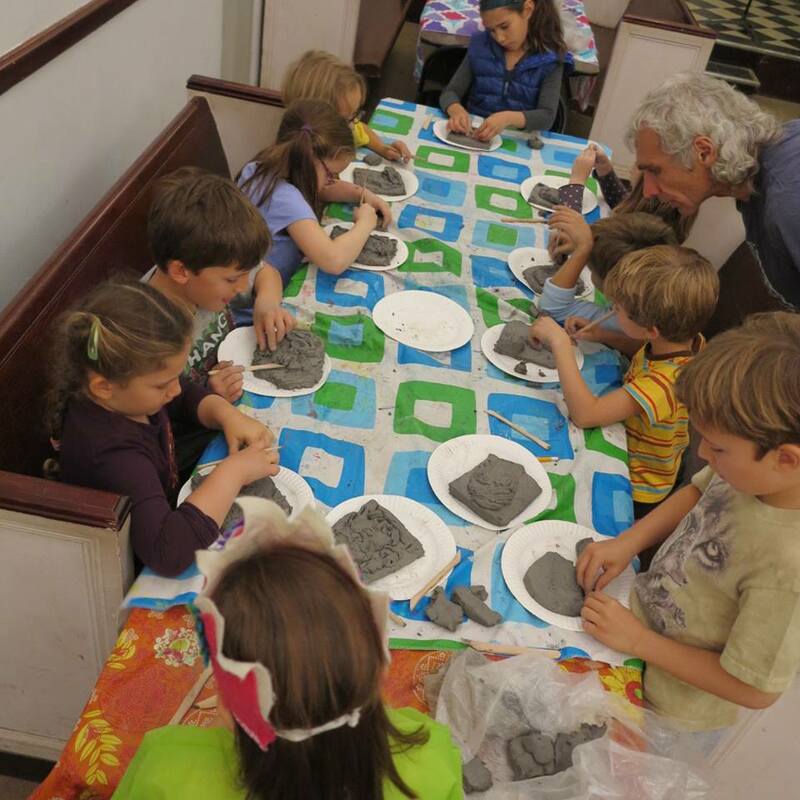 Adults are welcome any time (special assignments and prices for adult groups! For prices and registration email ArtStudio5005@gmail.com. 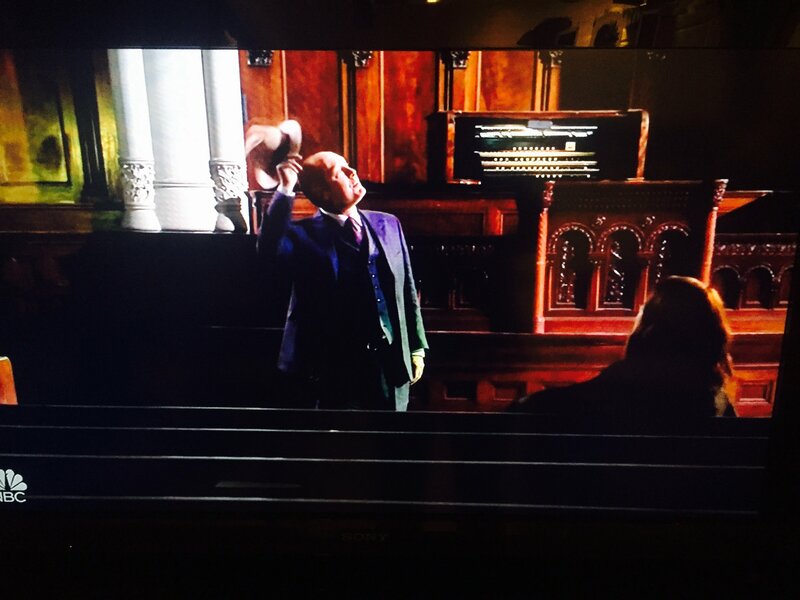 THE REPRESENTATIVES return on Tuesday, Aug 2nd at 8pm! Before embarking on their weeks of performances at the Ediburgh Fringe Festival in Scotland, The Representatives return to West Park for a preview benefit performance of their latest production,PRIVATE MANNING GOES TO WASHINGTON! The play, which imagines a secret meeting between Army whistleblower Chelsea Manning and US President Barack Obama, will make its world premiere at the 2016 Edinburgh Festival Fringe. 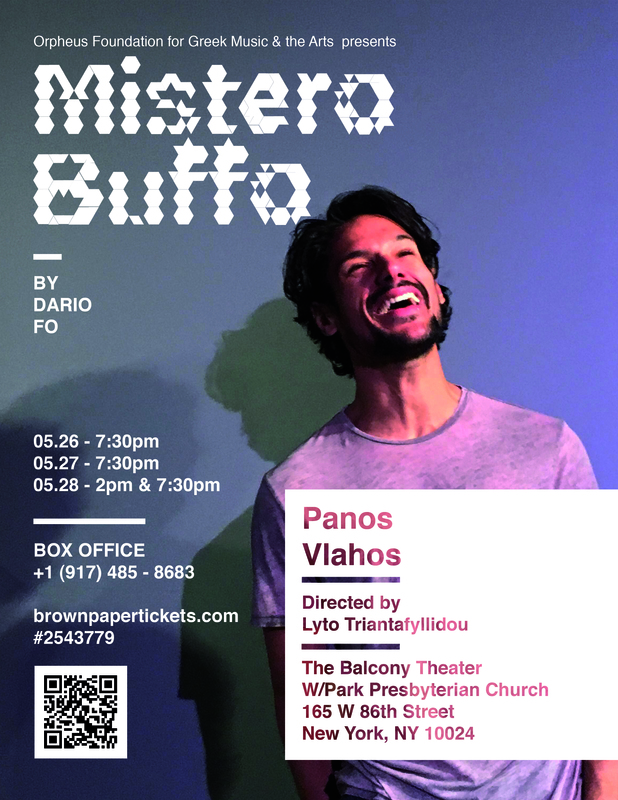 The production features Representatives co-founder Matt Steiner and company member E. James Ford, with design by Paul Hudson, dramaturgy by Jordan Schildcrout, and support from Civil Disobedience Productions. In December 2010, before his federal indictment for data theft, internet activist Aaron Swartz requested information from the American government regarding the treatment of Chelsea Manning, the soldier who would be found guilty of leaking classified documents to Wikileaks. Richardson uses this fact as a springboard to imagine Swartz creating a piece of theatrical activism intended to free Manning. PRIVATE MANNING GOES TO WASHINGTON is a timely and trenchant new play about the power of theatre to create empathy, understanding, and justice in an age of virtual realities and manufactured truths. The Representatives is the collaboration of playwright Stan Richardson and actor Matt Steiner. Since 2012, they have presented 14 new works, on subject matter ranging from the global financial crisis to mass shootings in the US. Their recent production of Stan Richardson’s VERITAS, the tragic true story of a secret gay witch-­hunt at Harvard in 1920, was featured in the American Theatre Magazine’s “Deaf Talent, Seen and Heard” and was praised as “agonizingly vivid” by The New York Times. The benefit preview performance will take place in West Park’s McAlpin Hall, at 8pm. To make a reservation please email Matt@theRepresentatives.org. For more information on the production or The Representatives, click HERE. NOCHE FLAMENCA’s INAUGURAL SUMMER SCHOLARSHIP DANCE PROGRAM ended on Friday, 7/22. Great kids, first-rate instructors, generous donors, and young lives changed!Noche Flamenca gathered together an incredible first cohort and the outpouring of community support was been amazing! 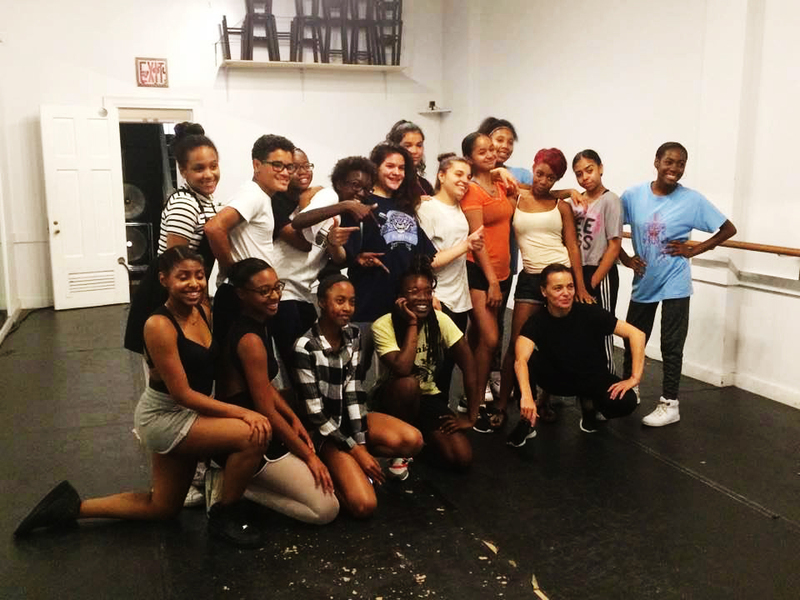 Big THANKS to instructors Soledad Barrio, Nubian Néné, TweetBoogie, and Eric Abbott Hoisington AND Famous Famiglia, Saint James Gate, Fairway Market, Harriet’s Kitchen & Shake Shack AND Noche’s many generous individual donors! Learn more about the program and view Noche’s donor roll call HERE. 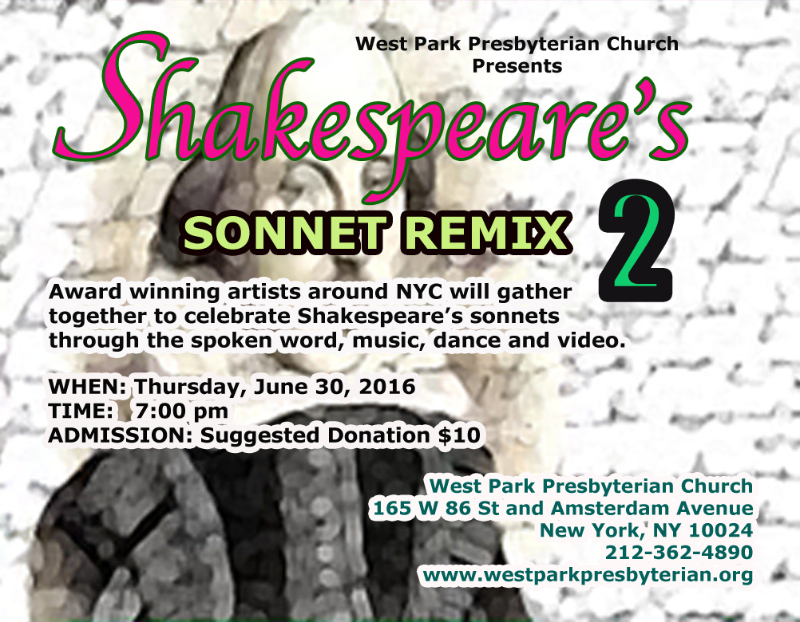 West Park is proud to present the Sonnet Remix 2, the second annual evening of new interpretations of Shakespeare’s sonnets. With a ticket incorporating Guggenheim award-winning composers as well as up and coming theater professionals still discovering their craft, the evening exemplifies West Park’s commitment to open artistic exchange. The artists will use everything from spoken-word to music, dance and video to present Shakespeare’s sonnets in a whole new light. Thursday, June 30, 2016 at 7pm. Suggested Donation of $10. Noche Flamenca has long sought to offer an intensive dance scholarship program for students in New York City who have no such opportunity at their schools and lack the means to pay privately. This project, with funding in part provided by the Mary Duke Biddle Foundation, is a small step toward addressing this need. Dance helps sustain focus and attention, it helps to deal with emotions, stir the imagination, shape the way young people present themselves to the world around them and to understand that there is more than one way to excel. The workshop will consist of ballet, flamenco, hip-hop, house and waacking technique and choreography dance classes, and a discussion of the history and cultural relevance of each dance form. 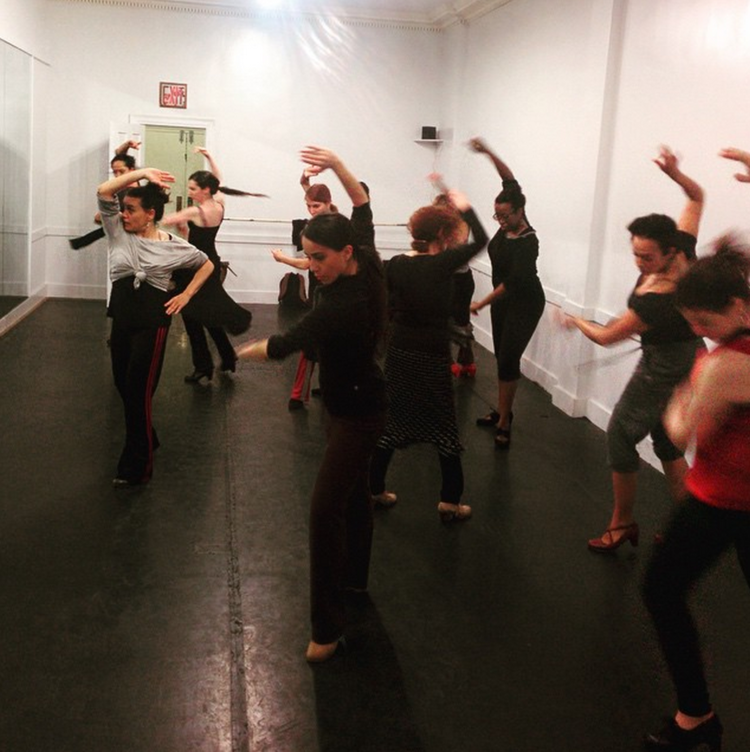 Students must have a strong desire to learn dance and must schedule an interview with Martín Santangelo, Artistic Director of Noche Flamenca, in order to be admitted to the workshop.To schedule an interview, please contact Martín Santangelo by phone or email: Martin@NocheFlamenca.com or 212-729-9433. For more information, click HERE. New Amsterdam Opera is NYC’s newest opera company, whose inaugural production of Fidelio is the only opera composed by Beethoven. This masterpiece tells a story that could easily be headline news today – the heroic lengths to which one woman will go to free the man she loves from unjust imprisonment and a death sentence. Join in the incomparable experience of opera performed live, in an intimate setting, with uncomplicated staging, and a focus on the beauty of the music and the voices.